Six months into its Mini E field test program, BMW is getting ready for phase two of its electric vehicle development. 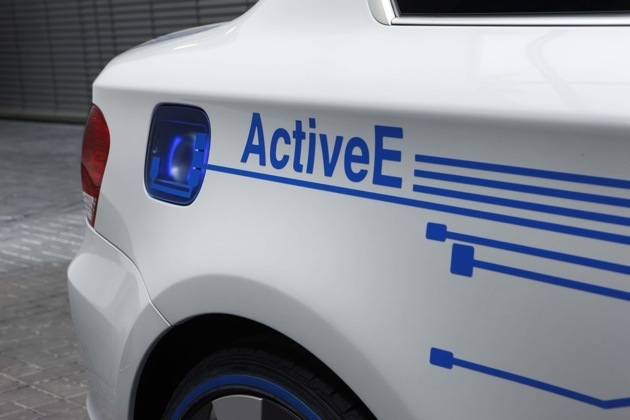 At the Detroit Auto Show next month, the Bavarian automaker will introduce its Concept ActiveE which brings electric drive to the Roundel. This time, instead of the diminutive Mini, these new teaser images suggest that a 1 Series coupe is set to go the plug-in route. With the Mini E, BMW rushed to get the cars out into the field, recruiting AC Propulsion to produce the powertrains and battery packs comprised of laptop cells - a setup not unlike the Tesla Roadster. This time around, the car is much closer to what might be expected of a mass-produced electric car. BMW plans to build another fleet of EVs based on this concept, and once again, it will again put cars into the hands of ordinary drivers and fleets for more field testing. Read on after the jump for more details and the official press release. Detroit Preview: BMW Concept ActiveE set to amp up 1 Series originally appeared on Autoblog Green on Wed, 16 Dec 2009 18:00:00 EST. Please see our terms for use of feeds. 0 comments on "Detroit Preview: BMW Concept ActiveE set to amp up 1 Series"